• Stratum 5 societal std. : Don Juan manqué. • After-effects of 20 strata PoMo march renders Machismo concept into pejoration. • Bio/evo impulse conflicts with cultural programming, resulting in cognitive dissonance. The concept comes full-circle, minus the marrow. • Machismo will be subjective. • Yesterday’s Gold Chain is tomorrow’s Compliance Collet. 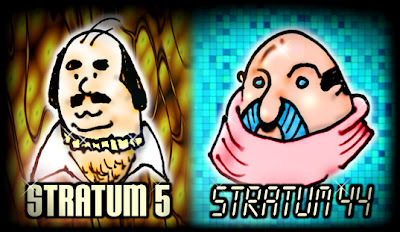 • In the future, everyone will be macho for fifteen minutes. In observance of the Orville Corporation’s 30-year anniversary, a commemorative edition of the original Orville™ LabVac-2 will be re-issued as a limited-run series available in retail/wholesale and industrial/commercial markets. The LV-2r features twin “waldo”-style removable telefactor arms for use manipulating the hose assembly and cleaning head. But the standout feature of the LV-2r is the “boombox”-style console interface entertainment system. Updated and improved, the re-issue includes mp3/USB docks and a digital streaming receiver in addition to the “classic” AM/FM receiver and stereo cassette deck. Headphone options are unnecessary as the audio signal is channeled through the vacuum’s impeller unit, so the vacuum/“boombox” twin decibel outputs operate as complements in tandem. Back in its day, the LV-2 was very popular in the custodial engineering community. Orville™ is confident that the “face-lift” of the LV-2r will bring a smile to old pros while winning over new converts. 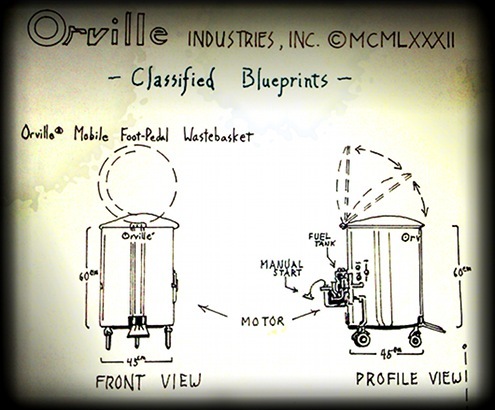 In observance of the Orville Corporation’s 30-year anniversary, a commemorative edition of the original Orville™ Mobile Motorised Wastebasket will be re-issued as a limited-run series available in retail/wholesale and industrial/commercial markets. The MMW-1 was indeed a breakthrough in its day, and was a vanguard in applications in systems engineering and the sanitation arts. The MMW-1 re-issue features a polished brass plaque with laser-engraved autographs of Johnny Gutts and the late Mark Hall, Orville’s own “brain trust” who both helped to catapult the corporation to unmatched success in wide-ranging fields using cutting-edge technology. The MMW-1r is ideal for lab work, hazops, kitchens and nurseries alike.